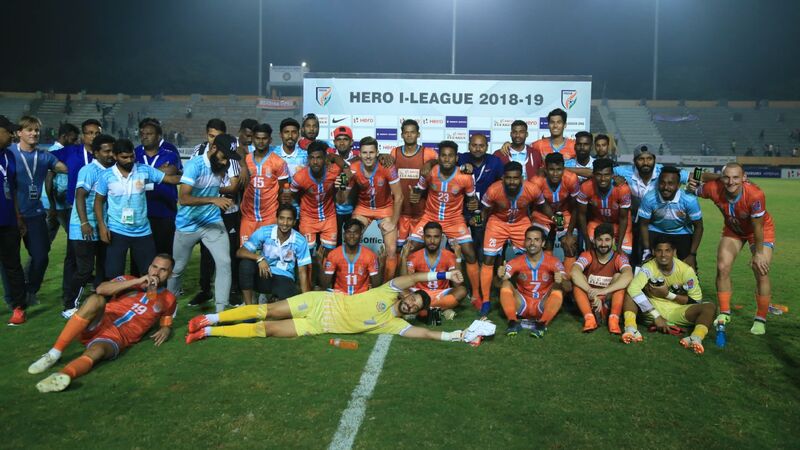 The kick-off is delayed at both venues -- Coimbatore is a bit late to get everything in readiness, forcing the teams in Kozhikode to wait as well. 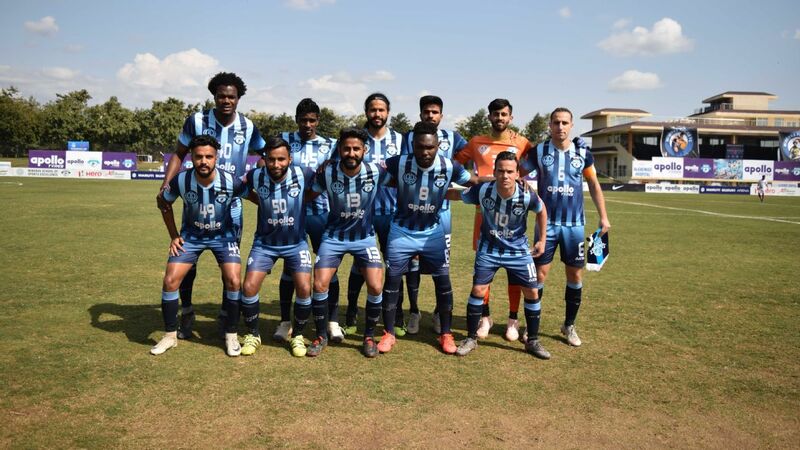 As soon as the two matches begin, Chennai City make their intentions clear by bombing in good numbers into the Minerva box, and Jozef Kaplan takes a shot from the left of the field that is blocked away by the opposition defence. A minute later, East Bengal create a bright passage of play, with Brandon Vanlalremdika outpacing his marker on the left and sending a well-weighted square pass through for Jaime Santos, who controls the ball and speeds away from the Gokulam Kerala defence. An interception forces the first corner of the match, but East Bengal cannot capitalise. All of the action in Coimbatore appears to take place on the Minerva side of the pitch. So it is somewhat against the run of play that Minerva's tall Ukranian striker Roland Bilala puts them ahead in the contest. It is classic Minerva in its execution -- a precise Juan Quero free kick from the right, and Bilala shrugs off his marker and heads well into the corner of the net. It's the start nobody could have imagined, especially with the early intent shown by Chennai. 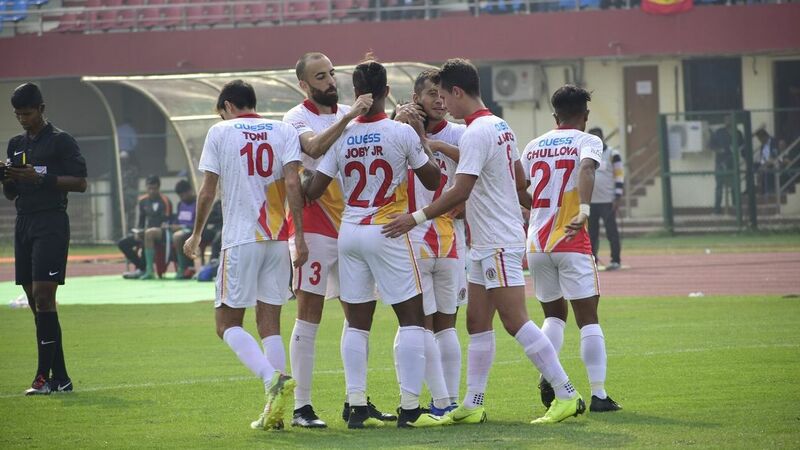 Over in Kozhikode, East Bengal enjoy a healthy spell of play inside the first 10 minutes, with Lalrindika Ralte winning a couple of corners that whizz past both his attacking players and the Gokulam defence. Santos works well with Laldanmawia Ralte on the right to open up some shooting space, but shoots wide. 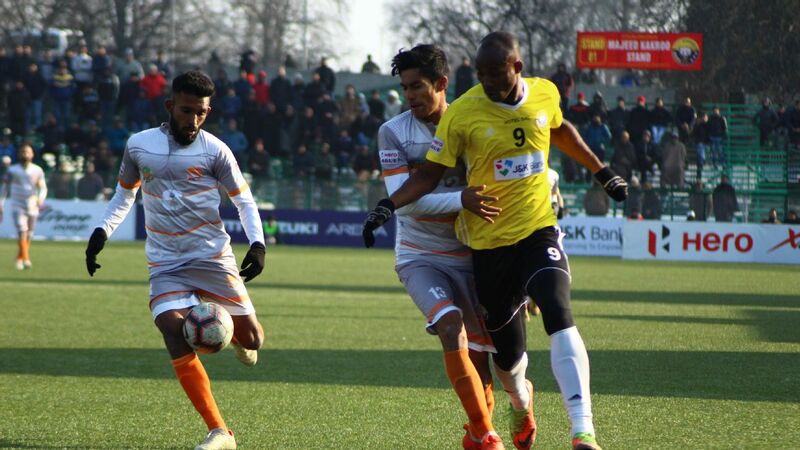 Around the 17-minute mark, though, Gokulam strikers Marcus Joseph and Emmanuel Ejiogu begin to stamp their quality upfront. Over the next 10 minutes, Emmanuel earns enough space to squirt a shot in that requires centre-backs Jonny Acosta and Borja Gomez to deflect it out for a corner. Then, he chests a long ball down and allows Joseph to bomb a long-ranger that has Rakshit Dagar in goal scrambling to his left to save. Gokulam are warming up to the task, from the look of things. The best save of the first half for either match, arguably, comes from Dagar, as Imran Khan lobs a ball from outside the East Bengal box, and Joseph reads it to perfection. As he is about to meet it and round off the East Bengal goalkeeper, Dagar sticks a right glove out and slaps the ball away to safety. In a first half where East Bengal increasingly look short on creative ideas when moving forward, his contribution in keeping it tight at the back cannot be ignored. In Coimbatore, a gentle rain begins to fall as the two matches head towards half-time. Chennai have been tepid going forward, with Romario Jesuraj getting on the end of a couple of crosses but either missing out on contact or sending it wide. As injury time ends, top-scorer Pedro Manzi fails to keep a simple header on target and rebukes himself. When the matches restart, Joseph and substitute Samad Ali Mallick come close to breaking the deadlock for Gokulam and East Bengal, respectively, while Quero almost scores from inside the Chennai box to bury the contest for good. Edwin Vanspaul also curls a ball just wide of the Minerva post, but the break comes when Akashdeep Singh handles the ball in an attempt to keep the ball away from Kaplan. Manzi teases goalkeeper Nidhin Lal by suggesting he'll go to his left, but shoots low to his right instead. 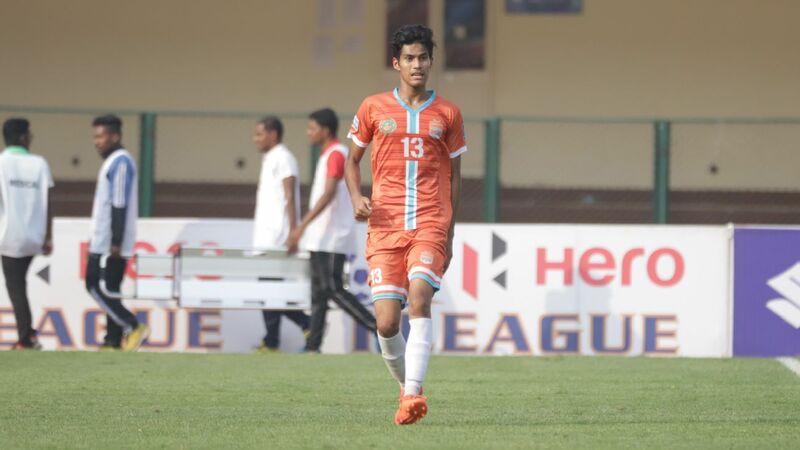 Three minutes later, Lalrindika Ralte rattles the Gokulam post with a left-footed shot, and within seconds Manzi misses out on placing a header at the near post into an empty net when fed from the left. Three minutes of madness. In hindsight, they decide the league. Marcus Joseph had been threatening all evening, and eventually he delivers. 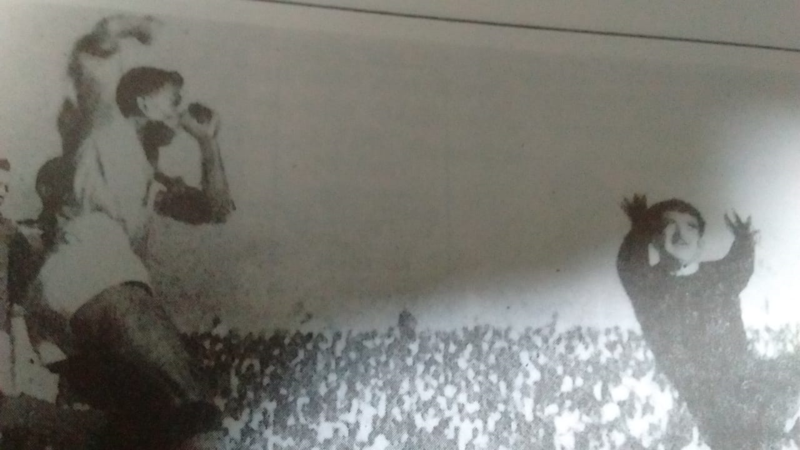 Gokulam are able to get bodies moving forward together, and find Joseph unmarked at the left of the box, and his low shot zips across the East Bengal half into the corner of Dagar's net. Seconds later, Laldanmawia traps a ball ballooned towards him, but his first-time snapshot squirts wide. Two minutes later, Bora half-volleys a Sandro Rodriguez corner into the net. Chennai have one hand on the trophy. 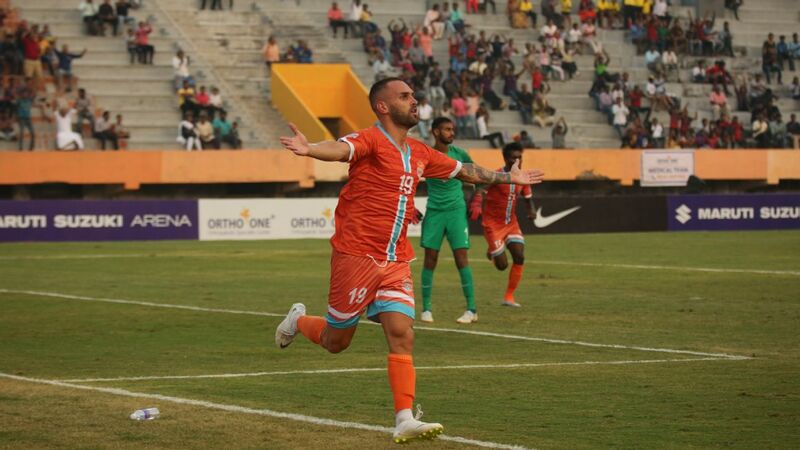 East Bengal get an unlikely lifeline, with substitute Toni Dovale's cross almost met by Bali Gagandeep. The referee points to the spot, and Santos converts. 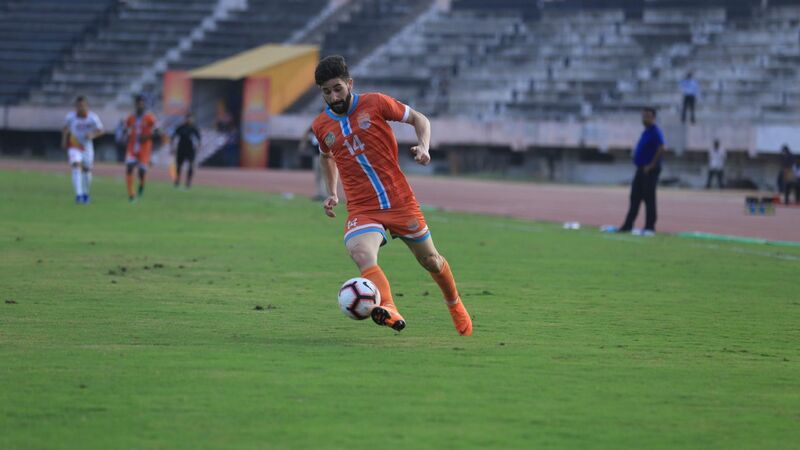 Eight minutes later, East Bengal cut the Gokulam defence open from the left, and a low cross comes to Laldanmawia, whose low header is saved by Arnab Das Sharma to begin with, but the East Bengal midfielder recovers and tips the ball into the net while lying on the ground. 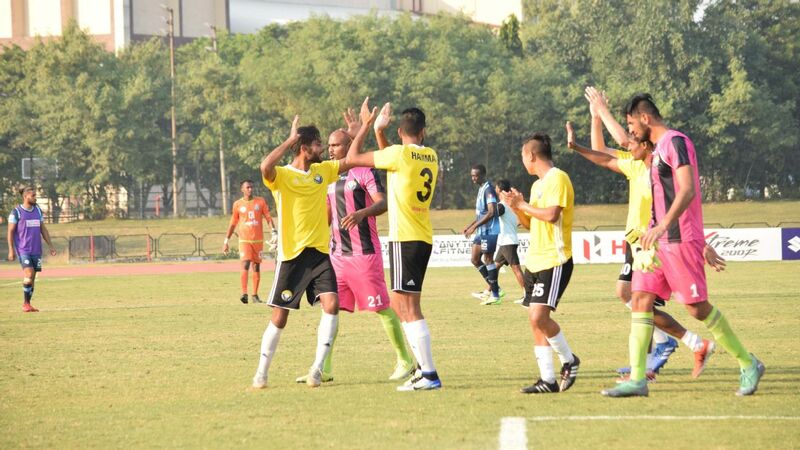 East Bengal have done their bit, but now are dependent on Minerva pulling off a miracle. 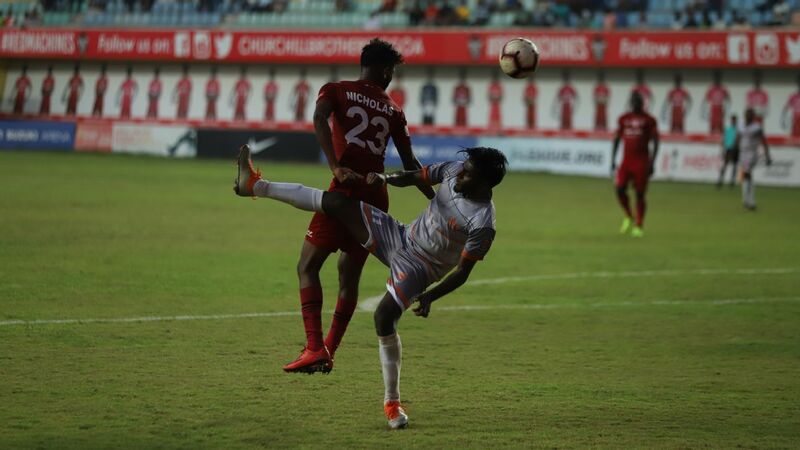 In Coimbatore, Manzi has just missed another gilt-edged opportunity to finish the match off, heading from three yards out straight to the keeper. At about 6.50, with the last minute of regulation time on, Akash Sangwan scuffs a free shot from inside the Chennai box wide of the goal. Three minutes later, another Sandro corner comes to Bora, who coolly heads home from the left corner of the penalty area. 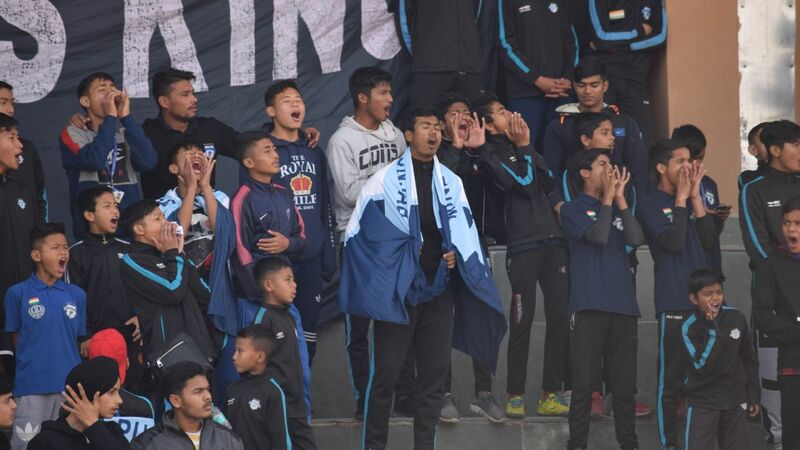 It's an emotion that is hard to capture for the Chennai players, or for East Bengal too. 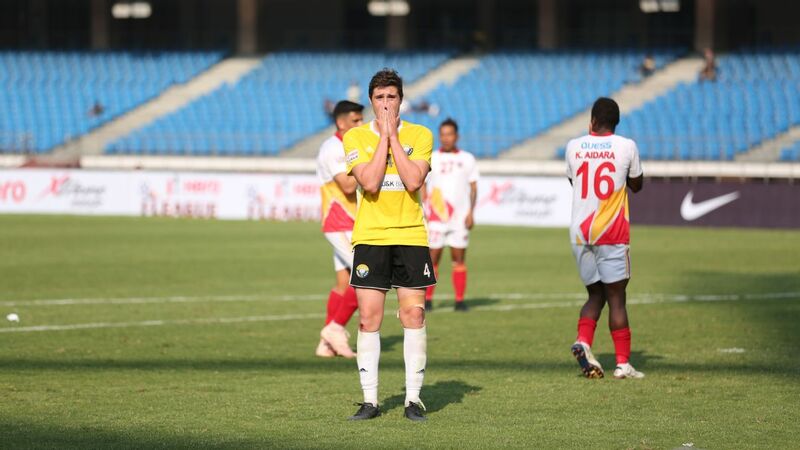 As the referee blows the full-time whistle in Kozhikode, East Bengal coach Alejandro Menendez indicates with his thumb and two fingers that Chennai have scored three. Laldanmawia sports a wry grin. 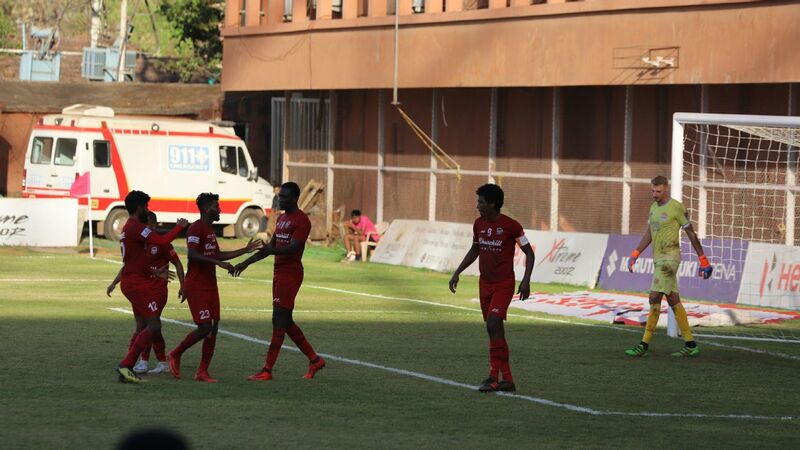 Over in Coimbatore, Kaplan is subbed off as the clock runs down in injury time. He goes off flexing his muscles, as his team have done in an unforgettable season.